Often times, citizens across the globe pay attention to economic performance of their respective countries. And key among economic indicators is the performance of the currency in that particular country. 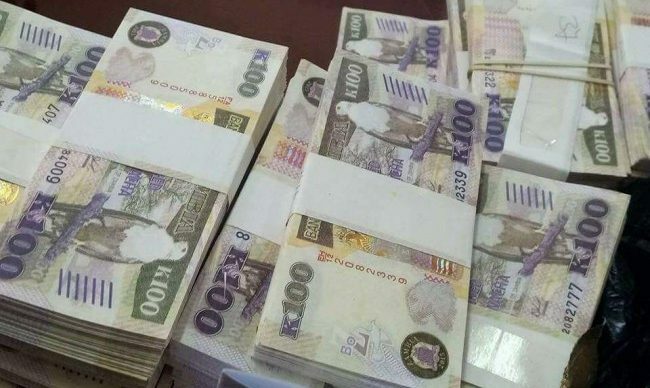 In Zambia, the local currency – the kwacha, has not done well from 2018 all the way into this year. In fact, the currency has never dropped to below K10 to a US dollar in the last three years. It keeps fluctuating between 11 and 13 kwacha to a dollar, despite temporal interventions by the Central Bank. As at Sunday February 3, the kwacha was trading at 11.91 to a dollar, after standing at 11.89 48 hours earlier. This unpredictability of the currency has affected various local entrepreneurs. One such group spoken to are the welders in Lusaka’s Garden compound. These are entrepreneurs who make a wide range of architectural fittings – from window frames to door frames and steel gates. According to them, the instability of the local currency has negatively impacted on their businesses. ‘’I used to have a lot of customers, but now they are few because most of them cannot afford the new prices we charge. The steel we use has become expensive because the people who manufacture them say they pay a lot to import chemical and other things they use to make the steel,’’ said Kondwani Phiri who boasts of owning four welding machines and six employees. Floyd Hanzuki who makes door frames complained that he no longer gets business from primary and secondary schools that were his major clients. ‘’I used to sell about 60 to 70 door frames to one customer. Mainly I had rural schools as my customers, but since September last year the business has gone down,’’ he narrated. Another welder, Jackson Banda, on the other hand feels that the high level of corruption in government has affected the local currency. To him, when there is corruption those involved begin to sack money out of the economy and stash it in their homes. ‘’There is too much corruption in this country. Why is it that it is only the same people who are found with money?’’ Banda asked. It does not require an economist to see that the Zambian currency keeps on weakening. Not only has this affected entrepreneurs, but households as well. What has shocked many citizens is that the Economics Association of Zambia keeps defending the weak currency. But the reality keeps surfacing every day. Whatever the case may be, one thing is clear – that our currency has become the most unpredictable in the last 10 years. Whether the situation will change for the better is hard to speculate. Only time will tell!